breaking news stories, lifestyle profiles, and contest coverage from the world of mens physique competitions around the globe. Physique Star Radio: (2/3/12): IFBB Men's Physique Pro Craig Capurso! Ian and Vince welcome IFBB Pro Men's Physique Competitor Craig Capurso to the show, to discuss what it takes to make a name for yourself in the industry. Craig is certainly no stranger to modeling, and offers some intelligent advice on how to maximize your potential for sponsorships and getting yourself seen. Dave reads off some of your listener questions, and Dr. Connelly answers the tough questions about Insulin and Post Exercise Nutrition! 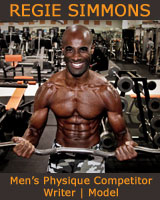 Physique Star Radio: (1/27/12): IFBB Men's Physique Pro Bobby Ashhurst! Plus: Dave & Dr. Connelly discuss glucose regulation! Ian and Vince discuss a controversial statement made by bodybuilding legend Frank Zaneconcerning the new Mens Physique division! Special guest and IFBB Pro Men's Physique Competitor Bobby Ashhurst gives his reaction, and shares his thoughts on the division. Controlling blood sugar: How does the body regulate blood glucose levels? 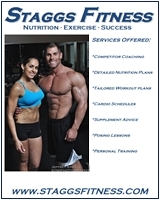 And how does the new line of Myotropics Physique Nutrition Products fit in? Don't miss this informative show! Physique Star Radio: (1/20/12): Ian Lauer & Vince Andrich host the show! Plus: Dave Palumbo joins Dr. Scott Connelly for the MUSCLE UNIVERSITY RADIO weekly segment! PHYSIQUE STAR RADIO is a new show hosted by Ian Lauer and Vince Andrich, with a focus on Men's Physique competitions, and all aspects of performance in the gym. Dr. Scott Connelly and Dave Palumbo join in the discussion with their weekly segment called, Muscle University Radio, which will get in depth on all aspects of supplementation, biomechanics, nutrition and performance enhancement for the hard training athlete. This week, Dave and Dr. Connelly discuss the newly discovered fat burning hormone IRISIN!